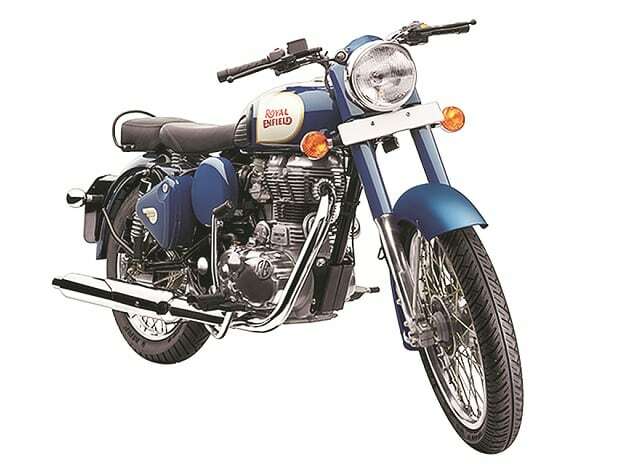 Eicher Motors, the manufacturer of Royal Enfield motorcycles, has become the third most-valued automobile company in the country after Maruti Suzuki and Tata Motors. On Monday, Eicher’s market capitalisation surpassed sports utility vehicle (SUV) major Mahindra and Mahindra’s (M&M)’s, with the latter taking a beating after news of a higher cess on SUVs and large cars under the goods and services tax (GST) regime. Eicher has quickly moved from being the fifth most-valued automobile company about a week ago to the third position now, triggered by a surge in its stock price. A week ago, Eicher had overtaken Pune-headquartered Bajaj Auto to become the most-valued two-wheeler maker in the country. 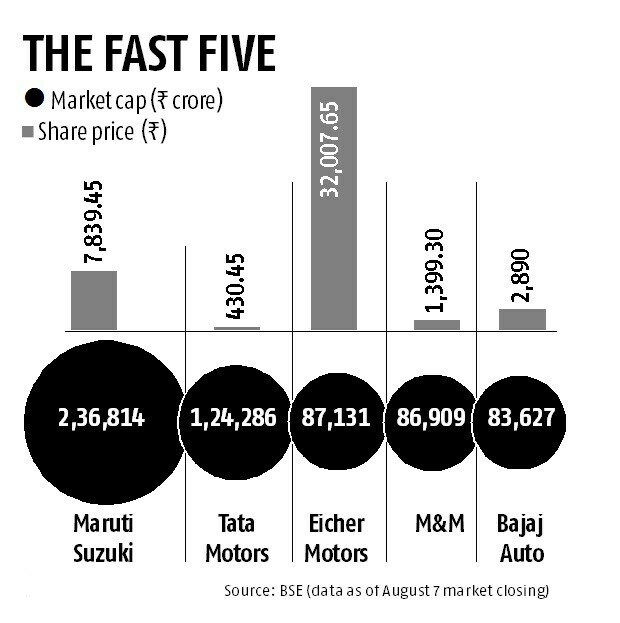 That also made it the fourth-biggest auto firm in terms of market cap. The stock rally did not halt there. In the past one week, the company added Rs 5,300 crore to its market capital to touch a valuation of Rs 87,131 crore on the BSE when trading closed on Monday. The stock closed at Rs 32,007.65, up 1.32 per cent over Friday. The scrip has rallied 42 per cent since January, and analysts continue to give a ‘buy’ call on it. M&M’s stock closed the day at Rs 1,399.30, down 1.34 per cent from Friday. The news of an additional 10 per cent cess on SUVs weighed upon the scrip. On Friday, the company had announced a 12 per cent dip in the first quarter (April-June) profit to Rs 768 crore. The company has faced challenges in the SUV segment where its dominance has been challenged by Maruti Suzuki. The Suzuki-owned company has quickly gained market to emerge as the largest SUV player in domestic market, overtaking M&M. Analysts do not see major triggers for a growth in M&M’s market share this year. The company’s commercial vehicle and tractor business, however, have posted growth. Eicher, on the other hand, continues to post a strong double-digit growth in the high-margin motorcycle business, its main profit generator. The products command a waiting period in most markets and, with an expanded capacity, the company is well-placed to create a new record in sales volume this year. Analysts do not see threat of a competition to Royal Enfield’s products in the near future. Eicher also makes commercial vehicles in collaboration with Volvo but its contribution to the profitability is small.